Being a part of the American Mountain Guides Association Instructor Team means I get to spend a good portion of the fall teaching up and coming guides the ins and outs of leading clients through the vertical world. 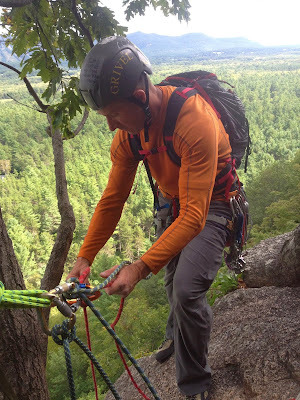 This year I was able to teach Rock Instructor Courses in North Conway, NH; Smith Rock, OR and Red Rocks, NV as well as an Advanced Rock Guide Course in Red Rocks. I've found that the more I teach these courses, the more I learn myself. Teaching is a great way to keep yourself engaged in the learning process, and to continue questioning why you do what you do on the rock. Is there a better way? A different way? I keep finding new tricks from my co-instructors and from the students to add to my repertoire of guiding techniques. I've also noticed a trend of having slightly older students coming out for AMGA training. 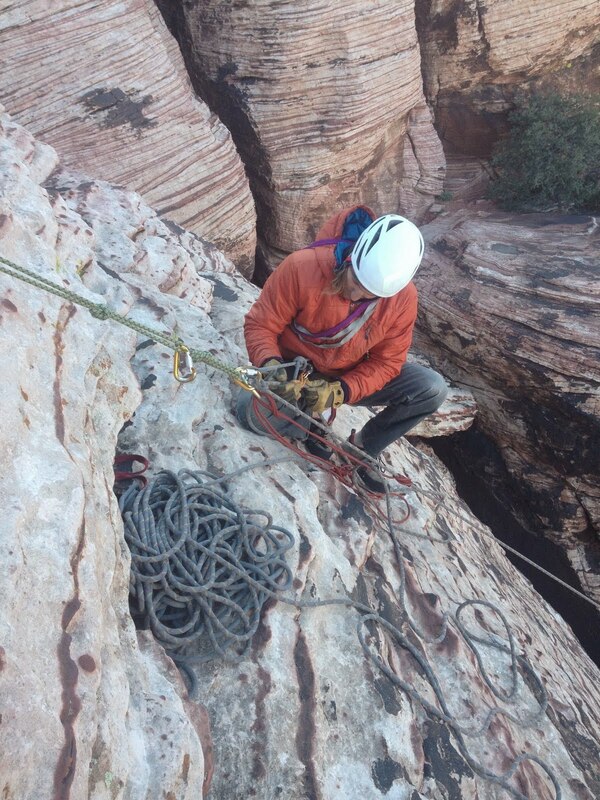 Either people who have been working as guide and are now going through the AMGA process, or people on a change of career path. Either way it is great to see people not afraid to jump in continue on the educational path. 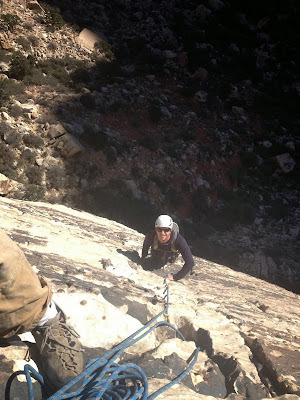 Although I grew up on the East Coast, I had never climbed at Cathedral. This is a really cool area! 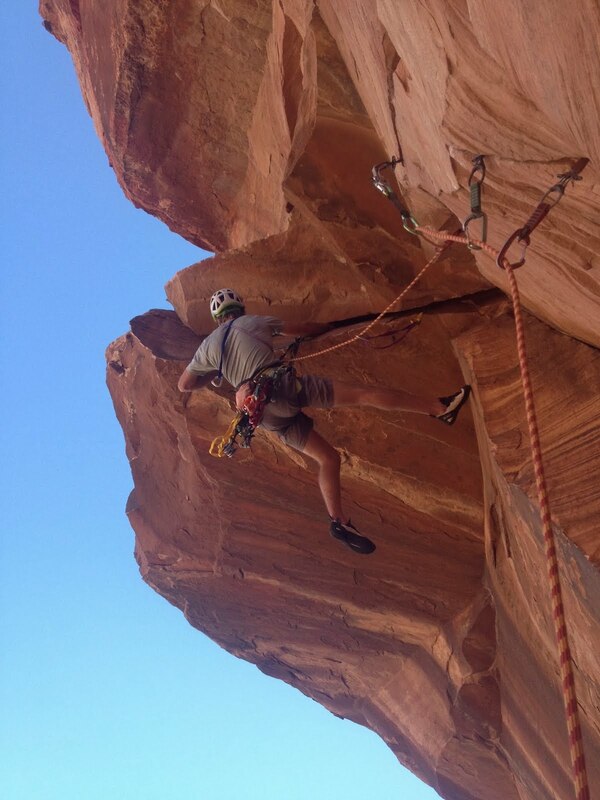 Lots of good crack and face climbs and some are surprisingly long. The climate keeps you on your toes as we encountered near freezing temps, heat and humidity, sideways rain, and mountain top snow. 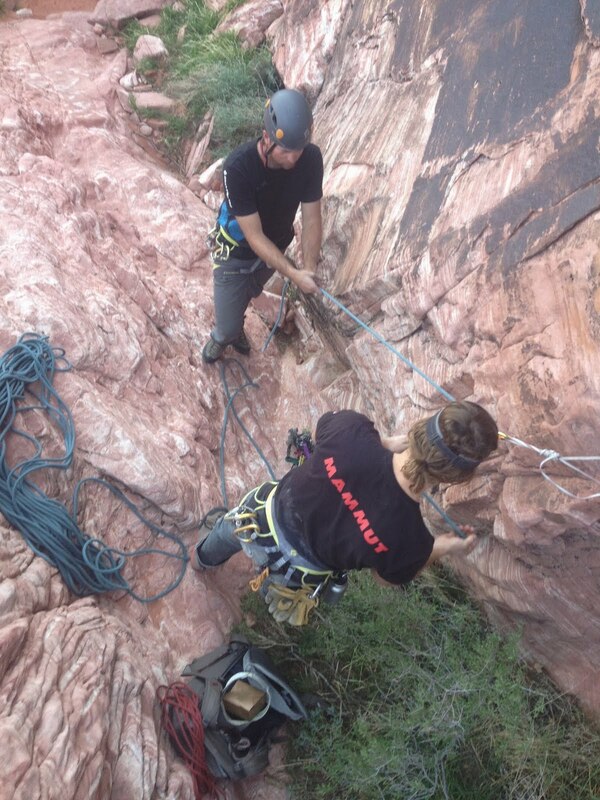 Red Rocks outside of Las Vegas has long been a favorite climbing venue of mine. The variety and multitude of climbs means I will forever have a tick list out there! While we were a bit limited on one course due to the Government Shutdown closing the Loop Road, so we got creative and still ran a high quality course and climbed some classics like Lotta Balls Wall, Solar Slabs and the Wind Tower, which was completely new to me. Of course no place in the world offers the same off-the-rock and post climbing experiences that Vegas does, so we had some fun in the evenings as well. Hats off to the participants for showing their skills on the rock and on the bowling lanes! At the end of the last course I managed to finagle a couple days to climb for fun with my girlfriend on the Brass Wall and in White Rock Springs. 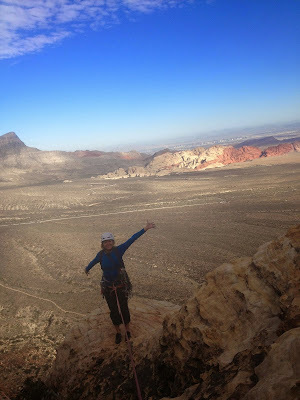 It was a great finale to the climbing season with perfect weather and a chance to take in a Vegas show and hit the Strip! Now that the weather has turned in Colorado and the Crested Butte area received 3 feet of snow over the weekend, I think my climbing will be relegated to ice and the ski season has officially begun!